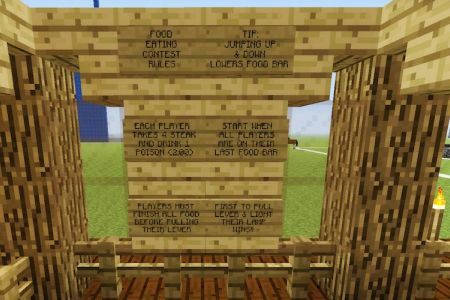 Build a Minecraft Eating Contest and coordinate games to play with your friends, to see who can eat their food the quickest. Building a eating contest is a great way to get rid of all that extra steak or chicken you’ve collected. 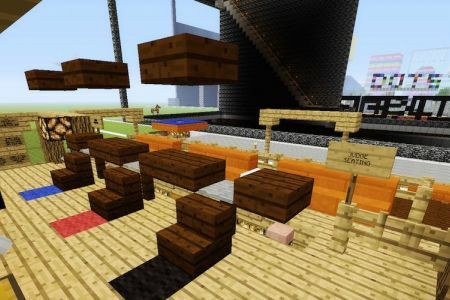 Its only a functional contest when built in Survival Mode so its every bit worth the build. 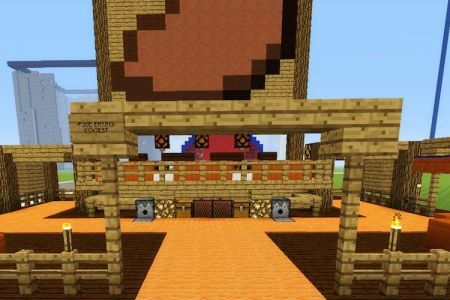 I built this Eating Contest in Electra Amusement Park but unless you play in survival mode on easy - hard, you can’t really participate. 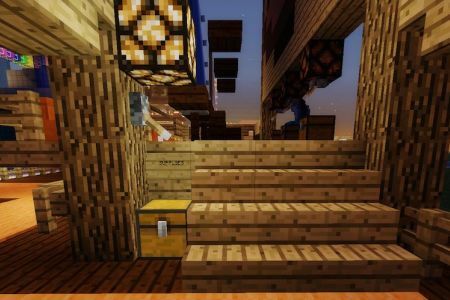 I have always built the theme park thinking it would be played in creative or survival peaceful. However, I would recreate this in a second. Its easy and its random and it would be fun to play with friends. 3. Players agree to the start time, and when they say “go” they race to finish their food. If poison is given, they should all use it to begin with but can be used at any time. 1. When all of the food is finished, that player can use the lever to light their lamp, showing they’ve won the game. 2. First to light their lamp wins! 1. You’ll need a table where players will stand while they finish their food. Use slabs to create your table. I didn’t make my space to fancy as you can see in my photos, but I did include some seating for guests if they want to watch from a distance. I included a judge seating area closer to the players that also distinguishes each player by letter for easy identification to not confuse who the winner is for the judge. 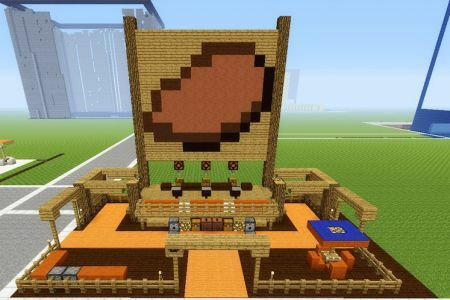 I made an outline of a steak for my eating contest, but you can use any food you like. Just ensure that the food isn’t poisonous, because you don’t want to kill the winner! and I also recommend that all players eat the same food, to keep things fair. 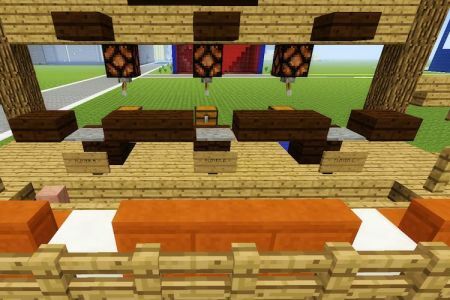 Different food will add different food bar points making it easier for some to eat more food and less easier for others without having to lower their food bar. If you want to spice it up and use the food eating contest to test players knowledge, allow them to choose their food.